Choosing a kitchen sink is a decision based on functionality, design and personal preference. While some folks prefer a traditional stainless-steel two-basin sink, others prefer a single-basin porcelain one. This month, Lexmar USA shares the various choices available to the consumer and what each has to offer. Stainless-Steel. This classic material is durable and so versatile it matches almost any kitchen design. It’s easy to clean and if scratched it can be buffed out with stainless-steel scratch kits found at any home improvement store. Something to consider about stainless steel is that hard-water can stain the sink. If you have hard-water you may want to choose something else like granite composite. Granite Composite. 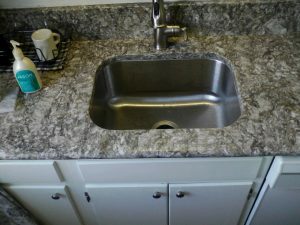 Granite composite sinks have gained a lot of popularity in the past several years. They’re great for homes with hard-water as it’s resistant to water spots. But much like granite countertops, they do require some maintenance and though granite composite is resistant to water stains, wine or oils can alter the appearance of lighter-colored granite. Overall, these sinks are very attractive in a kitchen and won’t chip or scratch with normal wear and tear. Porcelain. There is something so simple yet stunning about a porcelain sink. If you love a vintage look, porcelain will complete your design. With an large array of colors, porcelain is a choice of many homeowners. It’s important to note that porcelain sinks can chip and scuff leaving behind a black mark. Overall, a porcelain sink can really add character your kitchen design, but if you want it to remain in pristine condition you’ll have to be a bit careful when it’s in use. Natural Stone. Natural Stone, like soapstone, are great choices if you want your countertop and sink to match. They are however rather pricey and can scratch and chip which require special cleaning products. Large, Singular Sinks. The single basin sink has grown larger and deeper in most recent years, some as deep as 10 inches and 36 inches wide. They are great for cleaning or soaking large pots and pans, but that makes prepping foods and rinsing vegetables or noodles at the same time, well impossible. Rinse baskets are a perfect solution to this problem, but consider how much cooking and entertaining you’ll do. Think about how often you’ll need to soak pots and pans versus prepping for food at the same time. It might also be a good idea to consider how many people are in your house using the kitchen sink to wash their hands. If you have a ton dishes in the sink or a lot of kids in the house, rinsing items and washing your hands will have to wait. Two Basin Sinks with Differing Sizes. There are several different types of two-basin sinks, a 60/40 split, a 50/50 split and some even customizable. Both offer flexibility in the kitchen as they provide a side to soak dishes and another to rinse food or wash hands. The size of the split is up to you. The 60/40 split will provide a side that is larger for soaking pots, while the 50/50 split will make this a bit more difficult to fit oversized pots, however it offers a symmetrical look. Triple Basin Sinks. These sinks include two big basins and a smaller middle basin that houses the garbage disposal. These are ideal for people who cook a ton and need plenty of room for washing and prepping. However, unlike other more traditional single or double-basins, you can’t sweep your scraps directly into the garbage disposal as this portion resides in the middle of the two basins. You can however achieve this with a cutting board feature that fits on top of one of large basins which can also double as a substitute for the counter space you lost with the extra basin. Overall there are ton of sinks to choose from and we’ve only scratched the surface. There are Farmhouse sinks that set the tone for a vintage kitchen, those that are round-edged that some feel are easier to clean and some made of bronze, glass or copper! Whatever you’re looking for, visit Lexmar USA and we’ll discuss all of the options available. 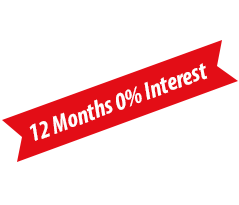 Call or visit today – 412-896-9266!